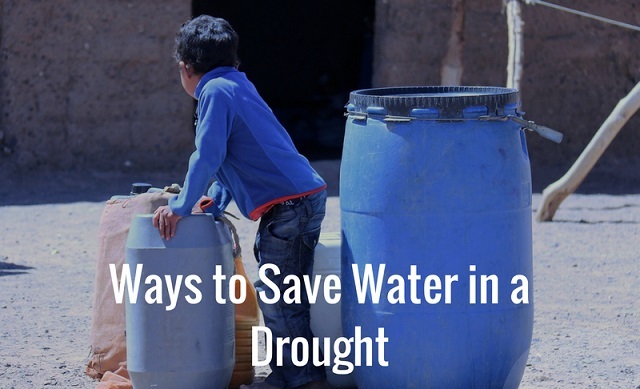 Saving water is of utmost importance during instances of drought or lack of water. We use water every day, so how do we go about lessening the usage when we have become so reliant on it? Let’s find out! Sink – although the faucet is small, there is a lot of water that can go to waste from running a faucet. It would be wise to turn the water off whilst shaving and brushing your teeth. Shower – showering saves more water than bathing, however, there is still much that goes to waste. By limiting your shower time to roughly 5 minutes, as well as having a bucket to catch excess water can greatly affect your water usage. This water can be used in various other use cases. Bath – drawing a full bath of water leaves a lot of water going to waste, as there is no simple method of transferring used water to other containers. This water is also less useful as the water is both excess as well as used soapy water all mixed into one rather than having water of a higher excess amount. Toilet – toilets use excessive amounts of water when flushing. To negate these effects there are various things one can do – including adding weights to your cisterns and using the caught water (from the shower) to flush the toilets. Remember that urinating only eliminates your body of up to 2 litres of liquid a day. Flushing a toilet can be seen as a waste and therefore a common suggestion would be to urinate in the shower. Another use for water collected in the shower would be that of washing laundry. Either by hand or in a washing machine, the water should be clean enough to clean clothes and cleanse all dirt and odours. Also washing only full loads will help to save water, time and energy! Cooking – As sometimes we need water to prepare certain dishes, it is easy to forget the amount of water that can get used whilst cooking. A big part of cooking is boiling, which can use a lot of water and leave a lot of water as waste. Instead of throwing this water down the drain, this water can be used to water plants or even given to pets – as long as what was boiled was already safe to eat raw. Cleaning – As with the laundry, it would be wise to only wash dishes once there is a full load. This is especially true in the case of a dishwasher, which can use a lot of excess water. Alternatively, you could get a bucket that fits into your sink. This bucket can be used to wash dishes and easily move the water to toilet cisterns or outside to wash dishes. Watering the Garden is, unfortunately, the only way to keep your plants healthy during the drought. Without water, they may starve and wither away. And as many people put a lot of arduous work into their gardens, it is understandable that they would not want their work to be for nought. Best practices for watering your garden during a drought would be to water your garden when there is the least chance of evaporation soaking the water back up into the atmosphere. Taking it a step further, the use of grey water (as in that collected in the shower) could also serve to be a great means of keeping your garden healthy. Clearing alien or invasive plant species is also a fruitful means of saving water as these plant species waste water immensely and do not use it effectively at all. They also pose a habitat threat to local populous and as such can be removed without hurting the surrounding environment. Water tanks that collect water from outside catchment areas (such as your roof) can also be used in order to collect water during scarce rain times to be used for both gardening and flushing toilets. Leaks – leaks within your water supply system can cause many various problems from increased water bills to being the cause of structural damage to the area around the leak. Finding and fixing leaks is a sure way to ensure you can save on future headaches. Meter – monitor and read your water meter on a regular basis. This activity will get you knowledgeable about your personal premises water usage – and if any irregularities occur, you may be able to notice them early through this monitoring. If you want to ensure you use water that is sourced safely as well as clean with no need to filter before use, contact us on 021 813 6631 or alternatively email us at contact@thewatercoolercompany.co.za.